Over the years, Joe has been involved with many different local organizations that sometimes struggled to find affordable ways to promote themselves and upcoming events. With this in mind, Joe applied to the FCC for a license to start MY102.7 and create a local media source to promote Paulding County’s organizations, churches and charities. 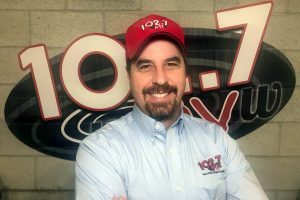 Joe manages the daily operations, promotions and organizes the public service announcements for which MY102.7 was created. As a fifth-generation farmer in Paulding County, Joe feels a responsibility to be a good steward of the land, as well as an active member in the community. Along with his wife Jodi, Joe looks forward to giving his children and now grandchildren an opportunity to earn a living on the family farm established in 1854. Joe can be reached at joe-barker@my1027.org. You can contact Terry at terry-carwile@my1027.org. Michelle’s services come to the station from Natural Design and Graphics, located in Paulding, Ohio. NDG is a graphic design and marketing firm that helps clients in northwest Ohio and beyond with everything from logo designs to website projects. 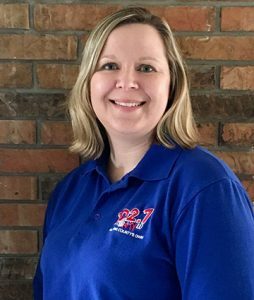 Michelle’s primary role with the station is keeping listeners updated and informed through the My 102.7 Facebook page. She is passionate about sharing the wonderful things our local communities have to offer. Michelle is also a huge music fan, enjoying artists from numerous decades and genres. Dusty Sonnenberg has over 20 years of diverse agricultural experiences. Dusty is the owner/manager of a cash grain farm and has a replacement heifer facility. He is the operating manager of the Tri-State RTK Network, a regional company that provides auto steer technology to area farmers. 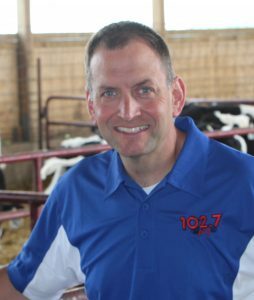 Dusty has 20 years experience in radio and has been the host of The Maumee Valley Ag Report for 15 years. Dusty is an OSU & Defiance Collage grad who taught Ag on the high school level for nine years. 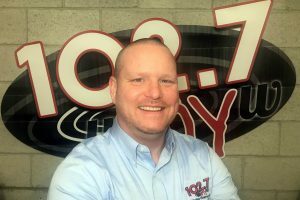 You can contact Dusty about the MyFarm Program by emailing him at dusty@my1027.org.